Can Estee Lauder Companies make "Osiao" a household word in China's luxury skin care market? The New York-based manufacturer of skin care, makeup, fragrance and hair care products is banking that Chinese women will buy a new high-end brand tailored specifically for them, designed to promote what Estee Lauder's scientists say Asian women want most in a skin care product – "natural radiance." Already known for such brands as Bobbi Brown, Clinique, MAC, Origins and La Mer, among others, Estee Lauder's decision to launch a whole new brand – rather than simply a new product – suggests the company is confident that an initiative begun more than five years ago will expand Estee Lauder's footprint not just in China, but throughout Asia. 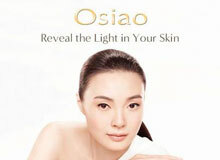 The Osiao product line is expected to sell for between US$45 and US$190. The venture is not without risk. Osiao – which is being introduced this month in only two department stores in Hong Kong and on some Cathay Pacific Airways Hong Kong flights – already faces competition from other Asian skin care products. In addition, its success depends to some extent on continuing strength in the high-end luxury market, despite weakening in the Chinese economy overall. And some observers question whether a hybrid product like Osiao will appeal to Chinese women. According to a New York Times article, Osiao will use English labels but its formulas will contain such ingredients as ginseng, Asiatic pennywort and ganoderma. Wharton faculty familiar with the Chinese market are generally optimistic about Estee Lauder's venture, while also noting the challenges that any new brand faces. "As part of the Estee Lauder family, Osiao can and should leverage the high brand equity of Estee Lauder in the Chinese market, at least in the initial stage," says marketing professor Qiaowei Shen. "Brand name is still a very important element when Chinese consumers are choosing their skincare products." While it probably won't be hard "to convince some consumers to try the new brand, the difficult part [will be] to convert them to loyal customers. The true quality of the product is ultimately the key." The concept of using Chinese herbs as ingredients in skincare products is not new, Shen adds. "A brand that claims to specifically cater to Chinese or Asian skin types does not necessarily win market share. Many brands originating from Korea and Japan, which are designed for Asian skin by nature, already have products with ginseng or other Chinese plants as ingredients. How is Osiao different from these?" The market "is there [and] the brand will enjoy a glow from the [reputation] of the parent company," says Shen. "But in the end, whether consumers are going to repeat their purchase and spread positive word of mouth depends on whether the product quality lives up to their expectations." Estee Lauder, founded in 1946, is experiencing strong growth in China. The company reported a rise in fiscal fourth quarter earnings of 25% and a 9.2% increase in revenue, to $2.25 billion. According to an article in The New York Times, fiscal 2012 is the first year that sales in the Asia Pacific region exceeded $2 billion. The company sells its products in more than 150 countries and territories mainly through limited distribution in, for example, high-end department stores and perfumeries, and specialized retail stores. China, with sales of $500 million, is its third largest market, behind the U.S. and Japan. Wharton marketing professor Barbara Kahn gives Estee Lauder high marks for "understanding how important skin care is to the Chinese consumer. One of the key differences between China – and Asia, in general – and the U.S. is the importance of skin care products. If you look at a typical drugstore, even a Sephora in Asia versus one in the U.S., you will see a larger percentage of the store devoted to [those items]." Kahn also points out that Chinese consumers think of the skin care process "as a multi-step regime, and they take it very seriously. They are generally more sophisticated in this category than the typical American consumer." Given the importance of the skin care category "and the amount of money consumers are willing to spend, this strategy of developing a new local brand makes a lot of sense." Estee Lauder's initiative is "brilliant [as well as] risky," according to Wharton marketing professor David Reibstein. In China, he says, a number of trends come into play: "A strong desire to be beautiful, with a heavy concern about skin care; a desire to be on the leading edge of fashion and skin care [as shown by] designer clothes, shoes and cosmetics all coming from other parts of the world; and a desire for, and intrigue with, foreign brands [as shown by] the popularity of some of the most visible fashion brands." The fact that Estee Lauder understands "the Chinese market, the skin care needs of the market, premium positioning and branding, and how to gain distribution" suggests the new brand will be a "winner," Reibstein adds. The risk for Estee Lauder is that "it's a crowded market…. The big question is whether there is room for both La Mer [another premier skin product from Estee Lauder] and Osiao." Wharton operations and information professor Marshall Fisher – who was in China recently teaching a global supply chain management course – breaks the scenario into two questions: Will a high-priced product sell in China, and how much should the company adapt the product to Chinese tastes? The answer to the first question "is clearly 'yes,' if you look at the number of successful luxury brands that have entered the country," Fisher says. "The reason is that even though average disposable income in China is below [that in] the West, it is such a big country that the top of the income pyramid is huge. This has made China a prime target for luxury brands." Products entering China have adapted to varying degrees, Fisher adds. "Nike changed little, but KFC changed almost everything; their comment was, 'All we brought from the U.S. was the picture of the Colonel.' Both have been highly successful in China. Evidently, people who buy Nike buy it in part because it is a Western brand, and adapting it too much would destroy that value. I would guess that Estee Lauder is more like Nike than KFC." At a dinner on the last day of their course, Fisher discussed this second question with the head of Starbucks in China. The Starbucks executive noted how the company eventually "tweaked Starbucks' menu and flavors enough to make them appealing to Chinese consumers," says Fisher. "His remark was that they finally figured out that consumers in China who buy Starbucks are looking for a Western experience, but one that is tuned to their taste buds." Fisher's co-instructor in the global course was Edwin Keh, CEO of the Hong Kong Research Institute for Apparel and Textiles. He recalls a presentation at Wharton earlier this year in which he learned two things: First, that "Chinese consumers like lightly scented products and think a lot of Western products are too strong and overpowering. And second, that the Asian market sells [more] skin protection, skin tone lightening and moisturizers than the West, probably because the Chinese market is dominated by urban professionals who work in crowded and polluted environments." Also, he noted, "light skin tone is considered a sign of beauty." Osiao "looks to be a very exclusive high-end niche brand" being launched at a top Hong Kong department store that is equivalent to Saks or Neiman Marcus in the U.S., Keh says. "The line can command a higher price point and probably will have fairly small volumes for the immediate future. This may be a good way to test the market and tweak the product." But Keh, like others, points to the "significant brand competition from Japanese and Korean beauty brands, [which] align very well with the Chinese consumer and have near-market advantages." Beauty products and next-to-skin apparel "are tough to sell and expensive to market, especially in China," Keh adds. "So a new brand will be high risk, high return. It will be interesting to see how this plays out." Although some observers express concern that Osiao could cannibalize Estee Lauder's other brands in China, Shen does not see this as likely. "Given its pricing and positioning, it is targeting a different consumer segment from the average consumers of Estee Lauder and Clinique," its two best-known brands in China. Instead, "the introduction of Osiao seems to explore the market opportunity with the ever-growing wealthy class in China. There is a segment of affluent Chinese consumers who are willing to spend a lot on skincare products. The economic downturn of China has little impact on the behavior of this segment." Keh concurs: "The timing of the release could have been better, given the recent doom and gloom, but the rich Chinese consumer is still spending and there are still lots of rich Chinese. So I don't see [the current economy] as an issue." Wharton marketing professor John Zhang describes why he thinks Osiao represents "a very far-sighted strategy. Up to this point, Chinese consumers worship anything Western, especially in cosmetics. However, at some point in the future, Chinese customers will become more rational, they will want to go back to their roots, they will value their own heritage and they will want the things that are good specifically for them. When that day comes, pure Western brands will lose their luster," but Osiao may not. Building a new brand from scratch is clearly expensive, he adds. "For that reason, starting in Hong Kong is a good way to test the water. In addition, it is also a good way to establish the high-end positioning. I believe that the success of the brand will depend on two things. First, there has to be solid science behind the new formulation. Without it, the brand will not succeed in China for long, and ginseng alone will not carry the brand for sure. Second, good marketing must balance modernity, tradition and science, especially in cosmetics." Great article about the skin care market in China and beauty brands entering the market successfully. I just would like to add that the Chinese market for the skin care industry is a critical one. It currently is not the largest, but some reports state that over 300 million people in China will be entering the middle class. This is a large market with purchasing power for the skin care industry.